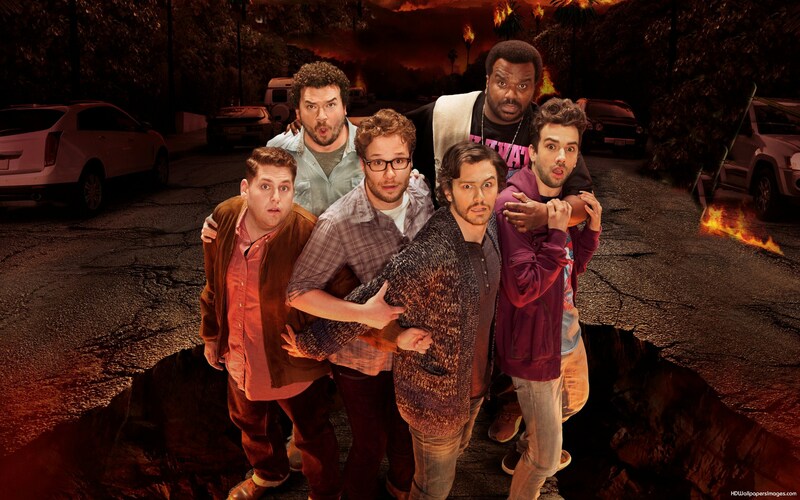 Last week I saw the new Seth Rogen film, This Is The End. I would have written about it sooner, but I’ve been thinking of how to make my review more…balanced. I have failed. – Jay finds that he and Seth are drifting apart. Seth wants to fit in with his new Hollywood friends, like Jonah Hill and Craig Robinson, but Jay is very uncomfortable around them. He steps out to buy cigarettes, and Seth agrees to go with him. Suddenly! Beams of mysterious light appear from the sky! Massive earthquakes! Holes forming in the ground! Other end-of-the-world-y stuff! I’m not really spoiling anything in saying it’s the Rapture, and you can pretty much predict how it’s all going to end, as Baruchel, Rogen, Franco, Hill and Robinson find themselves left behind, and Danny McBride turns up like that guest in Big Brother who is sent into the house to “stir things up”. There are a couple of semi-amusing moments; my favorite was when Emma Watson beats Seth Rogen in the face with the handle of an axe, and I have to admit I felt a bit like doing that myself. As the saying goes, “Buy the premise, buy the bit”, but I can’t help but feel that Rogen neglects decent narrative ENTIRELY for a couple of easy jokes about well-known people being awful. It’s an MA15+ Rating, and it shows; frequently crass sexual stuff, and swearing. Honestly, if you’re the sort of person who wants to see this film, I’d suggest you try South Park: Bigger, Longer & Uncut instead, because it’s genius. If you still insist on going; I’m not saying it would probably be made better if you were drunk, or high, but I think most of the people involved with making the film were. An exceedingly long list of celebrities, but the main six are Jay Baruchel, Seth Rogen, James Franco, Jonah Hill, Craig Robinson and Danny McBride. It’s the end of the world as Nick Jones knows it, and he feels fine.